The Swiss Light Source (SLS) at the Paul Scherrer Institut is a third-generation synchrotron light source. In the design of SLS a high priority was given to the items quality (high brightness), flexibility (wide wavelength spectrum) and stability (very stable temperature conditions) for the primary electron beam and the secondary photon beams. 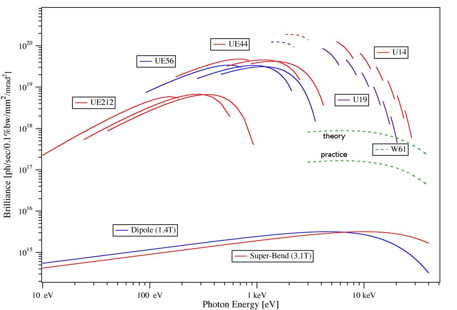 With an energy of 2.4 GeV, it provides photon beams of high brightness for research in materials science, biology and chemistry. The experimental program started in June 2001. As of June 2009 SLS has eighteen experimental stations (undulators and bending magnets) and seventeen operational beamlines. There are three protein crystallography beam-lines, two of which are partially funded by associations of Swiss pharmaceutical companies including Novartis, Roche, Actelion, Boehringer Ingelheim and Proteros. Individual control of all magnet power supplies, giving optimal flexibility for the optical properties of the storage ring. PSI will then upload that pdf to the local PSI Digital User Office DUO, a proposal ID will be created and the main proposer will receive an email, in which she/he will be prompted to complete the proposal by filling the SLS specific fields (safety requirements, beam line specifics etc). Afterwards the proposal will be included into the ordinary proposal review process of the SLS.